Indecision (318/365 year 3) – Annoyingly Boring? Each of the last two years I have published a Top Albums list here on my blog. I plan to do so again this year. In fact I had pretty much made up my mind on the top 10 albums but was holding off on posting until I caught up on my photo-a-day posts. Funny thing happened on the way to waiting for the catch-up that seems never to come…. 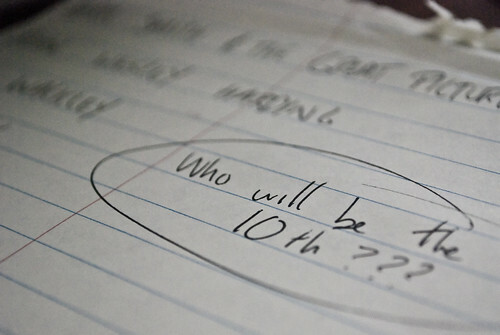 I am not getting all wishy washy on what my #10 should be. When I do catch up it will wind up being whatever album suits me the day when I sit down to post the list I guess. All the just missed albums will get honorable mentions anyway so no big deal. With any luck I will post the Top 10 just after Christmas. In the meantime you can revisit the 2008 and 2009 lists.